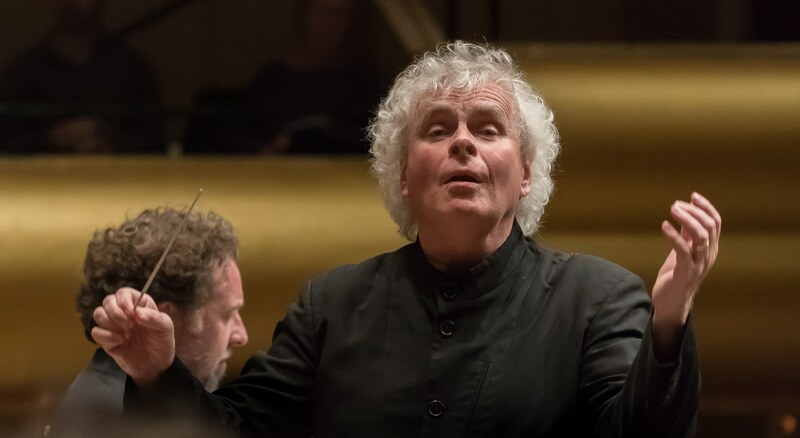 Lincoln Center’s Great Performers series is an opportunity for New Yorkers to catch up on the finest from around the world, but this triple concert Mahler-fest was especially welcome for the chance to hear Sir Simon Rattle at the helm of his new band, the London Symphony Orchestra. 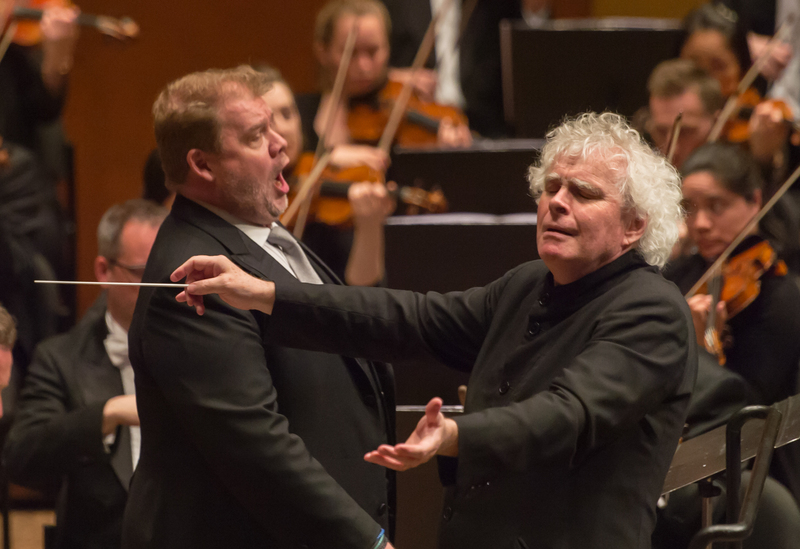 The central panel in Rattle’s triptych was the symphonic song cycle Das Lied von der Erde, which offered a bonus in the form of Australian Heldentenor Stuart Skelton, ably partnered by German baritone Christian Gerhaher. All three works on offer were premiered posthumously, thus none were never heard by their composer who, it can be argued, might have revised matters here and there, not least by making a call on his preference for alto or baritone for the lower voice in Das Lied. The matter has been hotly debated over the years with a general preference for a woman’s voice tending to win out thanks to the imprimatur of Bruno Walter. However, an increasing number of conductors like to experiment with the all-male version, with Jonas Kaufmann even trying a one singer fits all approach last year. But perhaps Rattle’s interpretation was more notable for what he brought out in the score than for any question of sexual preference. Thanks to the conductor’s experienced ear and a long familiarity with the soon-to-be-ascendant Second Viennese School, what we got was a demonstration of where the ailing composer was headed rather than where he had been. Call it Mahler the Modernist, if you will. Contrary to a popular misconception to do with the time lag between completed works and their first performances, neither the Sixth, Seventh or Eighth Symphonies were written in the shadow of Mahler’s newly diagnosed and potentially fatal heart condition or overcast by the death of his younger daughter. That honour goes to the Ninth Symphony and Das Lied von der Erde (with only the incomplete Tenth Symphony written under the cloud of Alma Mahler’s affair with Walter Gropius). Of all the late works, it is therefore Das Lied, with its bittersweet drinking songs and wistful recollections of meetings and partings, that most likely works through Mahler’s complex feelings of mortality and loss. Rattle has been conducting this music for forty years now and his approach is accordingly thoughtful and rich on detail. Incisive and powerful, but sensitive to the intensity of the contrasts inherent in both music and text, his shapely conducting was both urgent and lyrical with equal emphasis on the moment and the longer game. Architecturally, his conception is faultless, his pacing spot on. But – and this is what made this reading special – he also appreciates that for all that he’s rooted in the music of the 19th century, Mahler was also a friend to the musicians of the future, men like Schoenberg, Berg and Webern, who though they would go on to dismiss much of the past, would never turn on Mahler, one of their recognised progenitors. Nowhere was the prophetic nature of this music better drawn out than in the long final haul of Der Abschied, where Rattle illuminated the harmonic daring in Mahler’s doom-laden orchestrations in ways that frequently brought to mind the Three Orchestral Pieces of Alban Berg. 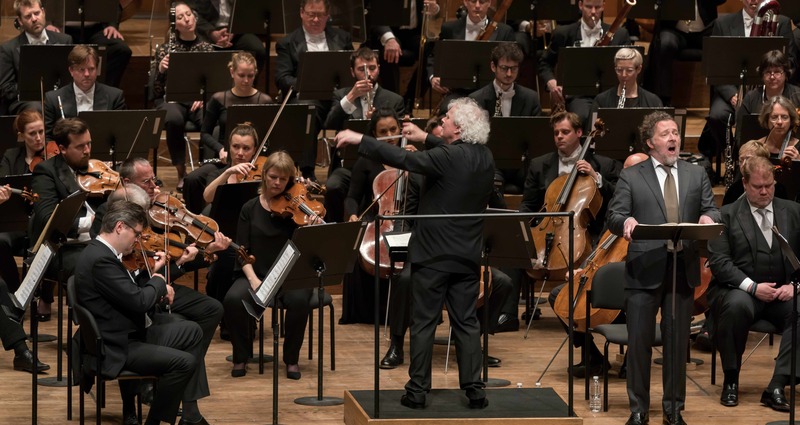 The LSO responded gloriously to Rattle’s detailed reading throughout, flinging themselves into the passion of it all and offering distinguished solo contributions. Oboe and flute were beautifully sketched into the misty melancholy opening of Der Einsame im Herbst; similarly, the solo violin and flute in Der Trunkene im Frühling and the poignant solo cello against grim, stalking basses in the central orchestral passage of Der Abschied. Among the many colours that Rattle drew from his players, the representation of brook and flowers amidst the moonscape of the final song were especially memorable. I first heard Rattle conduct this work in 1982 with Jon Vickers and Jessye Norman the soloists, which is perhaps why Stuart Skelton’s burnished timbre and considered dramatic performance brought to mind the intensity of his distinguished predecessor. Vocally he was on cracking form, singing with clarion tone and conquering Mahler’s sometimes ungrateful demands. Even more rewarding was the way he entered into the mood and character of each song – even acting through the orchestral interludes, albeit subtly and never to the detriment of the musical moment. The gallows humour of Das Trinklied vom Jammer der Erde was done to a tee, Skelton capturing the madman’s stare as he gawps at the terrifying image of the ape perched on a gravestone. The top B Flat was blistering, and beautiful contrasted with the jaunty delicacy and airy physicality achieved in Von der Jugend. In the bibulous Der Trunkene im Frühling he captured the drunkard’s occasional imbecile smile as he mined the sentimentality to be found at the bottom of a bottle before finishing on a thrillingly sustained high A. Like Skelton, Gerhaher is a consummate musical storyteller, particularly adept at catching the haunted quality in a song like Der Einsame im Herbst. Unafraid to pull back to half tones (though his sound always carried with plenty of body), he entered into Rattle’s modernist approach displaying constant pre-echoes of the Schoenberg of Pierrot Lunaire. Whether this was intentional – or even what Mahler might have envisaged – it was an interesting experiment, though it occasionally sacrificed some of the score’s intrinsic lyricism. In Gerhaher’s reading, the singer’s loss of the “sun of love” had a real sense of anger to it. Elsewhere, the unwritten staccatos at the opening of Von der Schönheit felt odd, though he certainly captured the hum of lazy insects over a sunny lake. Rattle ensured his singer came over loud and clear as the handsome young men clattered by, even if the notes for the fiendish final iteration sat just a bit too low (as it often does for an alto as well). Perhaps it is the long final Abschied that most benefits from the lyricism of a woman’s voice. Still, Gerhaher caught well the mood of isolation with its ambiguity of who is going on a journey and to where. The sublime conclusion would have benefitted if he hadn’t had to refer to the score before placing each of the final sighs of “ewig, ewig”. A fascinating experiment then, and one that whets the appetite for more of Rattle’s new musical partnership. The LSO would seem to be in more than just a safe pair of hands. Alexander Colding Smith is one of three finalists in this year’s Donatella Flick LSO Conducting Competition.